I LOVE pearl and diamond jewelry! Diamonds have always been a girl’s best friend, but she won’t kick a set of pearls out of bed for eating crackers either. 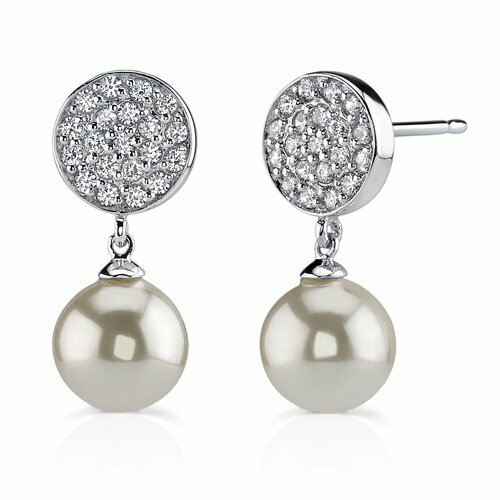 Pearls and diamonds are among nature’s most beautiful creations, aside from women, of course. Diamonds are likely the most common gem stone to be found in rings, earrings and charms. They sparkle and shine exquisitely when cut correctly and will retain their value or possibly increase in value depending on the design and setting. A diamond ring can become a family heirloom and be passed down from generation to generation through time. There is no substitute for a well cut diamond in a lavish setting. Diamonds are valued based on their weight and cut. A naturally occurring stone, a diamond's beauty comes mostly from the way in which it is cut. The more brilliant a diamond is, the more beautiful it will look in the jewelry setting. Cutting a diamond properly means providing the largest face for the light to be reflected through, thereby increasing its brilliance. 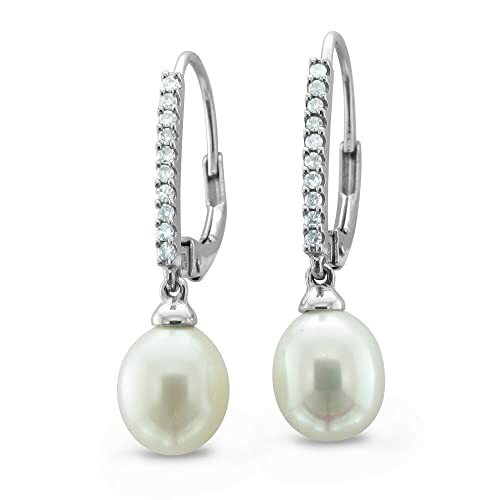 Like their diamond cousin, pearls too are among the most popular stones used in jewelry. Pearls come in a variety of sizes to fit every taste (and bank account.) The value of a pearl is determined by three factors, its size, its shape and its luster. 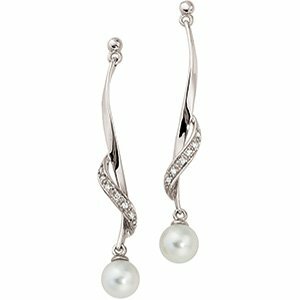 Pearls are not cut like a diamond, they are harvested or cultivated from the soft tissue of shelled mollusks. Pearls can be farmed or plucked naturally from the oceans depths. Naturally harvested pearls are more rare and therefore considered more valuable, but farmed pearls can be more beautiful, colorful and larger, which can also make them valuable. Pearls come in a wide variety of colors. 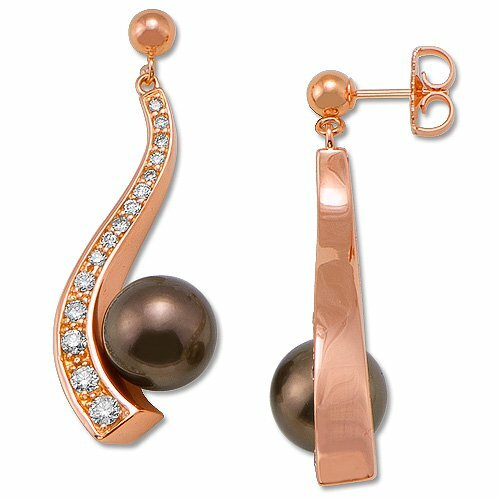 Most commonly associated with a pale white or cream color, pearls can also be found in pastel shades and even, exceptionally, black. 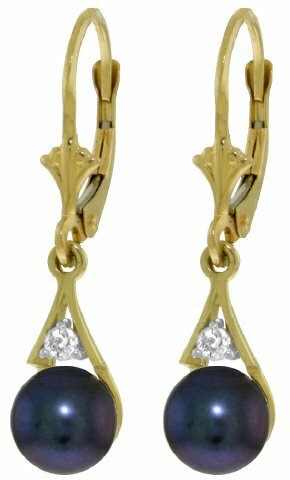 Black pearls are considered among the most rarest of gem stones in jewelry and fetch a higher price because of it. It is not unusual to find a pearl which has been dyed to a specific hue. Due to their porous nature, pearls can be dyed for any setting. Naturally colored pearls are considered preferable to dyed pearls, however, as there is no risk of the color fading. Pearls are created naturally within a mollusk one thin layer at a time. At their core is a tiny grain of sand, but it is the multiple layers, each one translucent, which gives it the ability to refract and reflect the light. The modest yet beautiful way a pearl controls the light it absorbs is a large part of what makes them popular. Pearls can be strung into necklaces, which are versatile and popular with ladies looking for a piece of jewelry they can wear often. 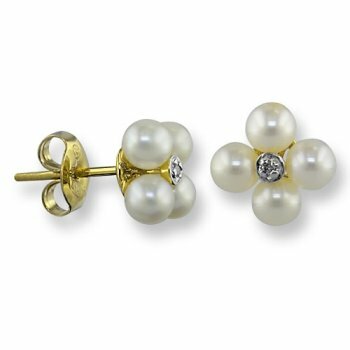 Pearls can also be set in earrings or as a centerpiece of a ring, just like a diamond. Also like a diamond, pearls retain their value year after year. And because no two pearls are alike, each piece of pearl jewelry is unique. Pearl and diamond jewelry is regarded as some of the most versatile and valuable jewelry in human civilization. For thousands of years, pearl and diamond jewelry has attracted royalty and those interested in the finer things in life, and that belief in their value is unlikely to change in the next thousand years of human history.